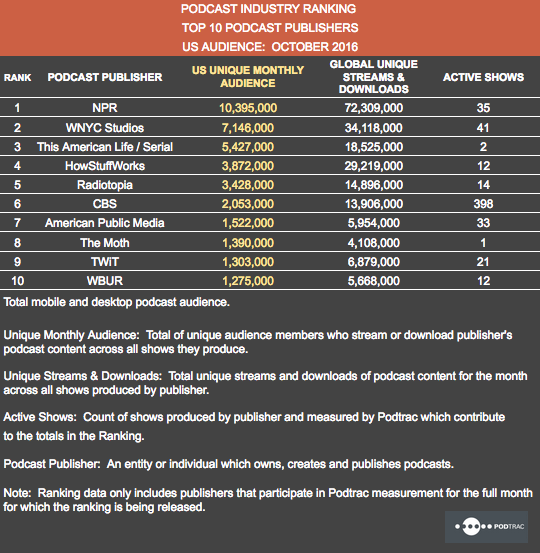 Podtrac has updated its monthly ranking of podcast publishers for October. 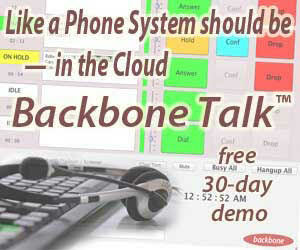 The list tracks the top publishers from Podtrac’s client roster. The order of the rankings remained unchanged, aside from WBUR and TWiT swapping ninth and tenth. All of the top ten publishers on the list posted increases in unique U.S. monthly audience over September. 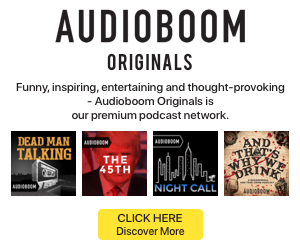 NPR saw the largest absolute increase in audience at 1.9 million, and Podtrac said that spike was “fueled by election interest and NPR Politics.” Radiotopia had the biggest percentage increase to its audience at 30% growth. Combined, the top ten publishers generated 206 million global streams and downloads during October.